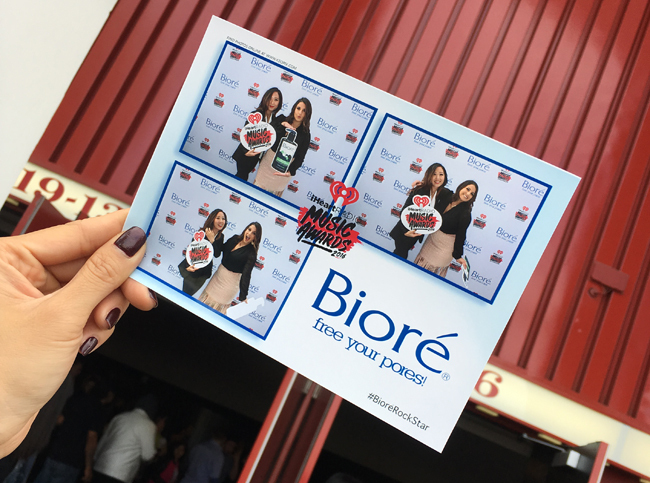 In case you missed my epic snapchat story, I was fortunate enough to attend the iheartradio Awards Show with Bioré on Sunday! 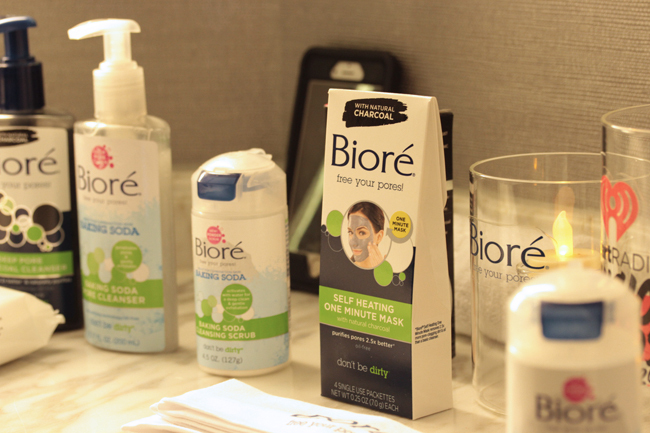 The live music was phenomenal, but the best part of my day was the skin pampering session thanks to the new Baking Soda and Charcoal products that Bioré just launched. Ever since my first visit to Tokyo — where the Bioré nose strips are super popular — I have purchased them in America for friends and family. A lot of us struggle with blackheads on our noses, and my best friend Tammy even dubbed her nose a strawberry! The bottom line is that the strips always work, so of course I was most excited to try the charcoal formulation. It's gentle and just as fun to peel off as the original. The black cloth is soft to the touch and from my experience, truly does absorb oil to reduce shine. I didn't have to blot my nose once at the Awards Show! The Baking Soda Cleansing Scrub was one of my favorites because it didn't feel like a traditional gritty scrub. The cleanser naturally dissolves so that you never over scrub, which I definitely need because of all the redness I have been experiencing lately. The innovative powder activates with water to deep clean pores and leave the skin visibly smoother. 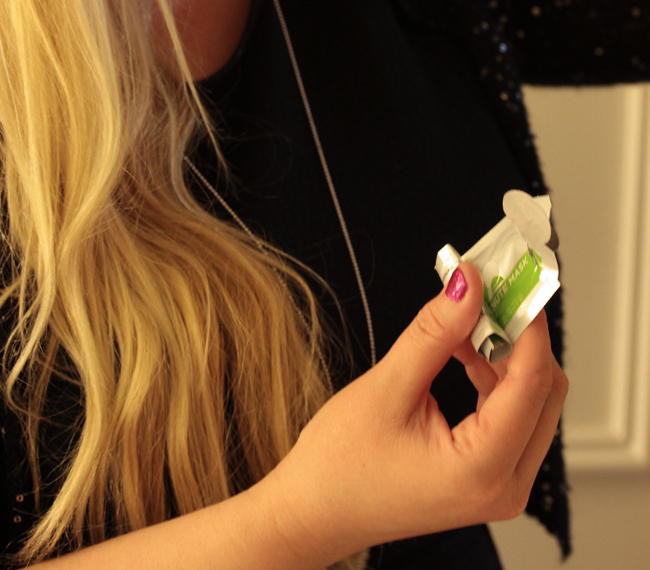 I also tried on the Self Heating One Minute Mask, which comes in individual packets that are ideal for traveling. I love the gentle warming sensation. The mask is thick but creamy and draws out pore-clogging dirt and oil. My skin felt refreshed but not tight or dry in any way, so I would recommend this mask to those with normal to dry skin for use once or twice a week. This is just my personal recommendation, so do refer to the packaging to see best practices for your skin type. My favorite new product are the Daily Deep Pore Cleansing Cloths, though. They smell heavenly and are perfect for sweaty post-gym sessions as well as lazy days when I haven't worn makeup but still need thorough cleansing. My skin is very sensitive to wipes these days, but the Daily Deep Pore Cleansing formula did not irritate my face or neck at all! I think the mild exfoliation is perfect for those with dry skin as I have. Even though my skin type has changed dramatically in the last year and a half, maintaining clear pores has always been a struggle for me due to exercise and foundation/base makeup. 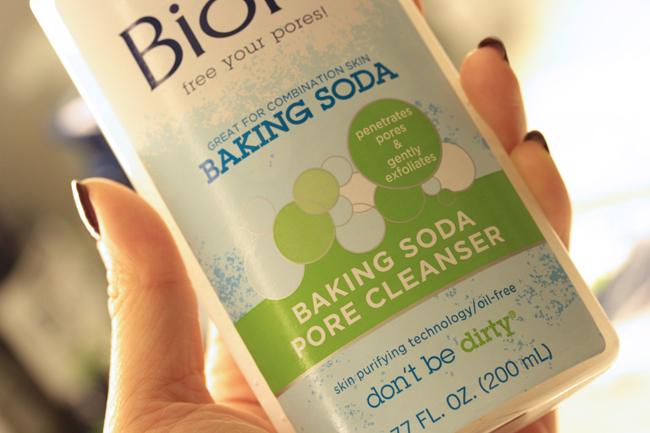 For great skin, free your pores with Bioré!